Having lost the Premier League title last season to rivals Manchester City, Ferguson and United were under pressure to respond and the signing of van Persie, who was also reportably wanted by City, sent out a message loud and clear, to players, fans and title rivals that United wanted their Title back. So far, it seems to be working. The United striker has made a big impact at Old Trafford, scoring 15 goals in all competitions. Many of those goals have been crucial. None more so than the last minute winner to claim a 3-2 victory against City. Such has been the impact of van Persie that it is being likened to that of the United legend, Eric Cantona. 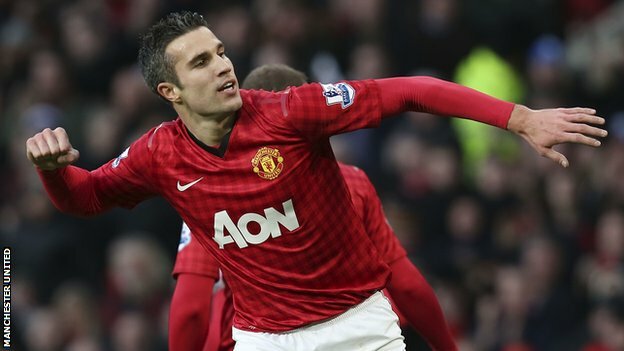 Will van Persie prove to be as big an influence as the iconic Frenchman? If he carries on scoring crucial winners and United win back the Title, he will have gone a long way to securing his place in United’s illustrious history. Manchester United shirts, gifts and memorabilia here.